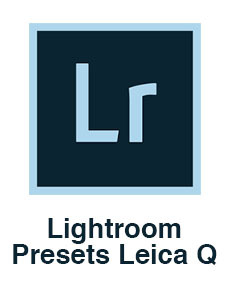 Here are presets, guides and software made by Thorsten von Overgaard for photography. Delivery is instant via mail with a download link. I have made a few essential Presets for Lightroom that does minor adjustments to the Leica files, so as to get the tones the exact way I want. The Presets has as their ideal, the Leica M9 sensor , as well as the Kodachrome film (which also happened to be the ideal for Leica when they developed the Leica M9 sensor). Not that it matters much, but that is the reason why I made my own Presets: To get the that look, rather than a “digital sensor look”. Thorsten Overgaard Lightroom Preset to get colors inspired by the Dutch painter van Eyck. This package contains one preset for any DNG file to tilt the colors towards the colors of Dutch painter van Eyck. I have made a few essential Styles for Capture One that does minor adjustments to the Leica files, so as to get the tones the exact way I want. The Styles has as their ideal, the Leica M9 sensor , as well as the Kodachrome film (which also happened to be the ideal for Leica when they developed the Leica M9 sensor). Not that it matters much, but that is the reason why I made my own Styles: To get the that look, rather than a “digital sensor look”. 60 Presets with saturated colors, matte look ... and more. 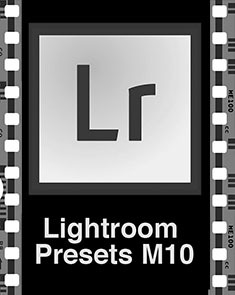 Thorsten Overgaard Lightroom Preset for Leica M10: "Black and white tones as the Leica M9"
This package contains one preset for Leica M10 to make black and white files with better skin tones and an overall look like the Leica M9 black and white files. 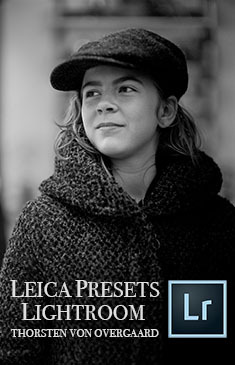 34 Presets with monochrome, grain, colors, matte look ... and more. "Thorsten Overgaard Skin Tones" and "M9 Extreme Muted Colors"
One that works with Process 2010, and one that works with Process 2012 (recommended). "Black and white tones, as well as one that creates Extreme colors"
"Black and white tones, as well as one that creates muted colors"
Pay attention that once “installed” the presets disappear from this folder. So eventual make a copy before you install so you still have the preset for another time or another computer). A) Simply double click on the preset and select Lightroom as the Software. B) Open Lightroom and drag and drop the presets into Lightroom.